Operating theatre. 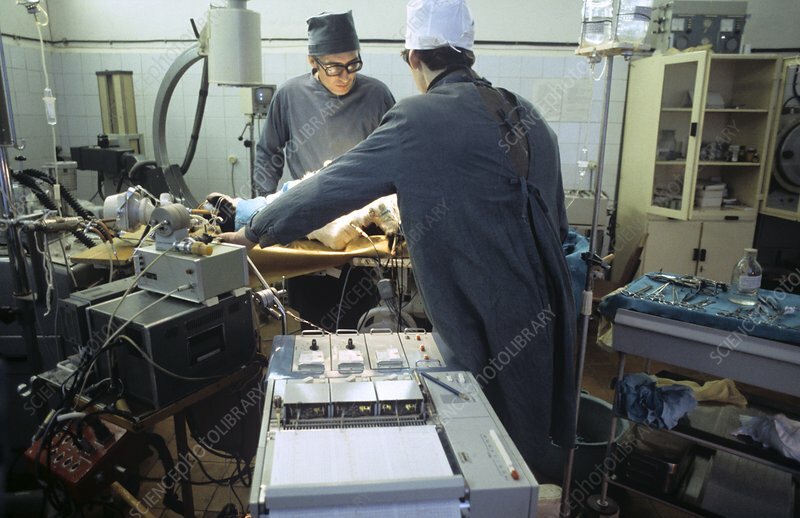 Surgeons operating on a patient at the Central Tuberculosis Scientific Research Institute, Moscow, Russia. Photographed in 1985.